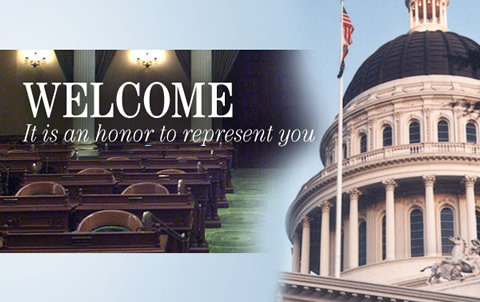 SACRAMENTO, CA – Today, AB 1073 the Undocumented Survivor Safety Act, authored by Assemblywoman Blanca E. Rubio (D-Baldwin Park), passed the Assembly Public Safety Committee on a 8 to 0 vote. AB 1073 authorizes the Attorney General to enter into an agreement with Immigration and Customs Enforcement (ICE), to designate Domestic Violence Shelters as sensitive locations in the State of California. SACRAMENTO, CA – Assemblywoman Blanca E. Rubio (D-Baldwin Park) was elected Chair of the San Gabriel Valley Legislative Caucus on a unanimous vote. She will succeed out going Chair, Senator Ed Hernández (D- West Covina) who termed out of the Legislature last year. Assemblyman Freddie Rodriguez (D- Pomona) will serve as the Caucus’s Vice Chair. SACRAMENTO – Members of the California Latino Legislative Caucus this week toured migrant shelters on both sides of the U.S./Mexico border. After getting a first-hand look at the desperate conditions, Assemblywoman Blanca Rubio joined fellow Caucus members in demanding a more permanent plan instead of what appears to be the new normal: An exasperating policy by the federal government that exploits human tragedy on both sides of the border. AZUSA – This morning Assemblywoman Blanca E. Rubio (D-Baldwin Park) hosted the 2nd Annual Operation Gobble Turkey Giveaway in Azusa. Community members from throughout the San Gabriel Valley joined to discuss state related issues and hand out turkeys in anticipation of Thursday’s holiday.